Founded in 1988, Montessori American School is a Member School of the American Montessori Society (AMS), ensuring your child receives a Montessori education that is authentic to Dr. Maria Montessori’s philosophy. Located in Chula Vista, California, we offer educational programs and childcare for children ages 2-6, as well as an exciting summer camp program. Our students are able to learn at their own pace and absorb information, concepts, and skills from their surroundings and peers. 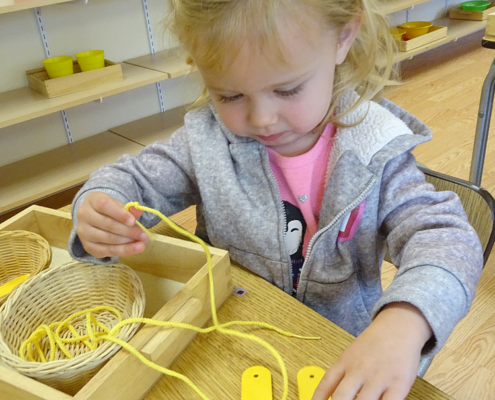 They will develop independence, self-confidence, and respect for others in our home-like learning environment. What are you waiting for? Schedule your tour today to see what makes Montessori American School so special!